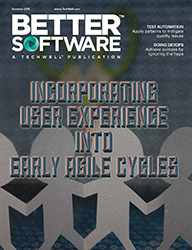 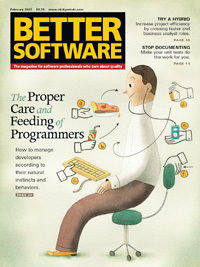 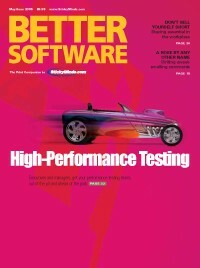 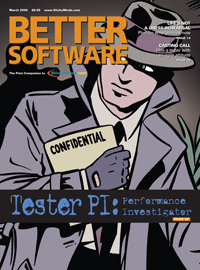 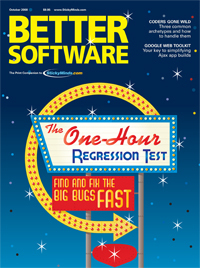 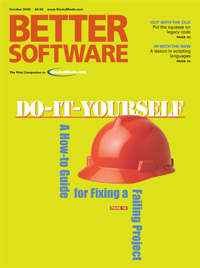 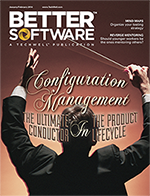 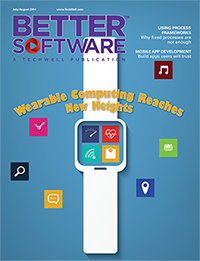 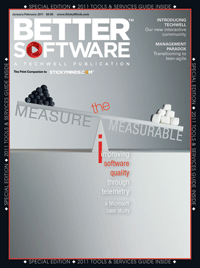 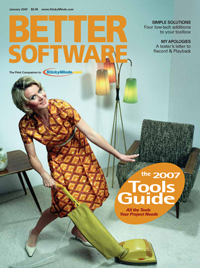 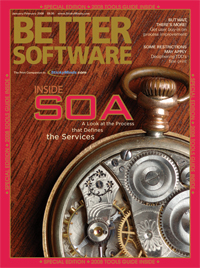 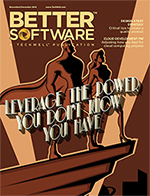 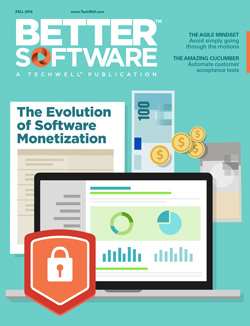 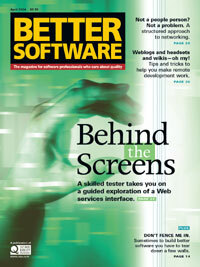 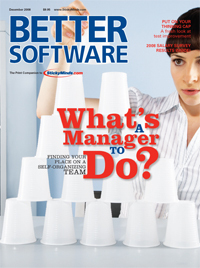 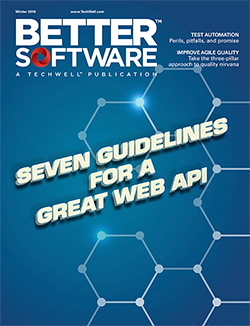 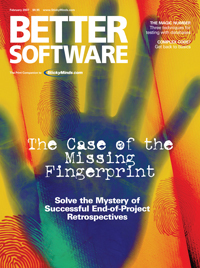 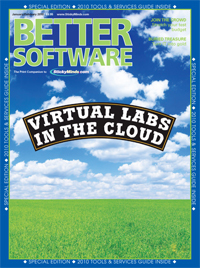 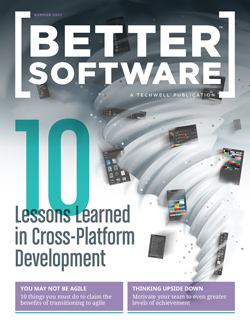 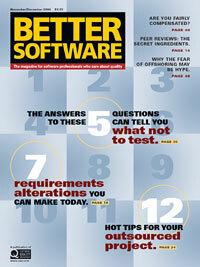 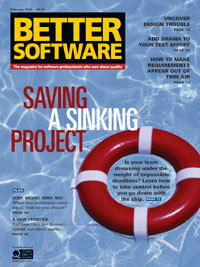 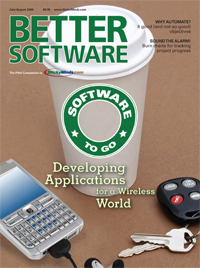 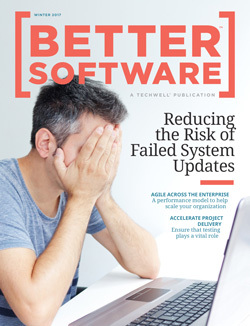 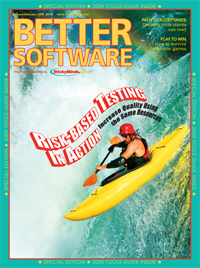 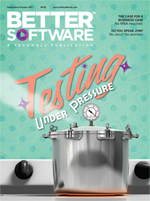 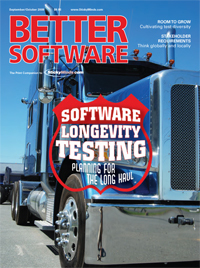 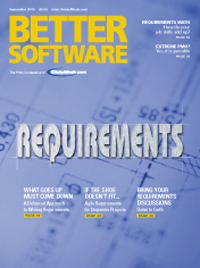 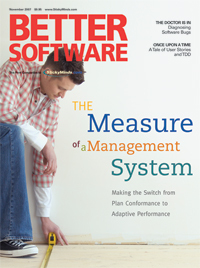 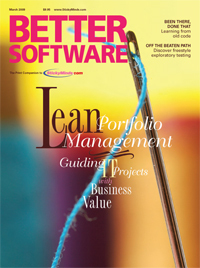 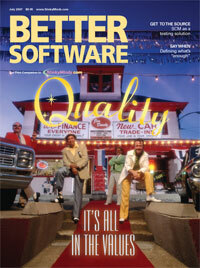 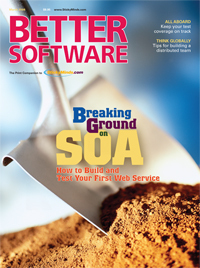 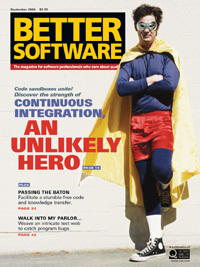 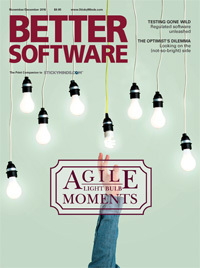 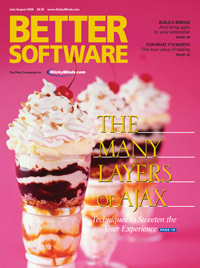 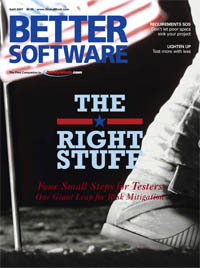 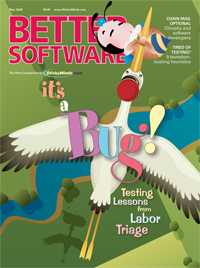 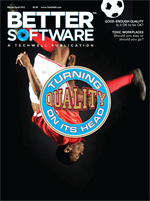 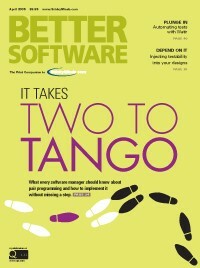 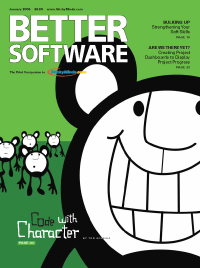 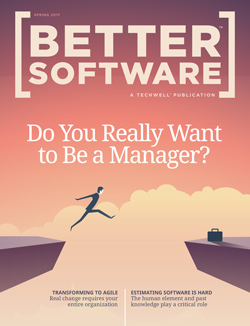 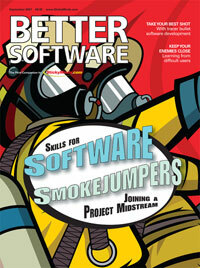 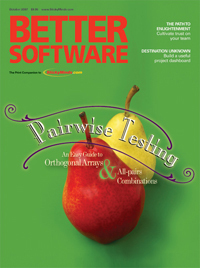 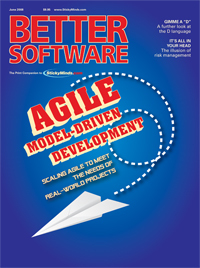 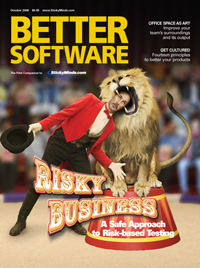 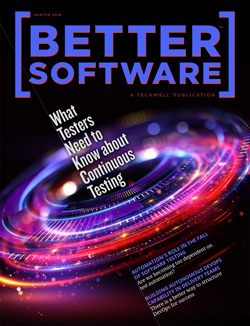 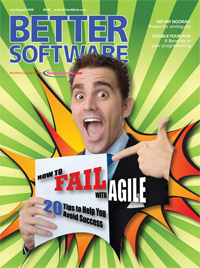 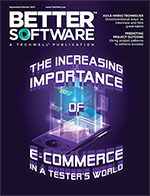 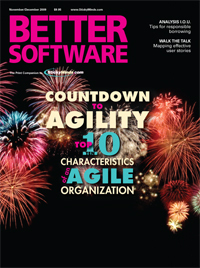 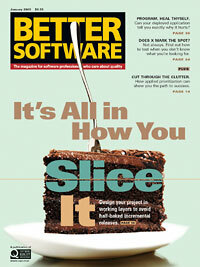 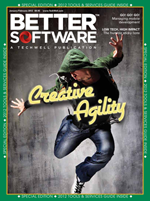 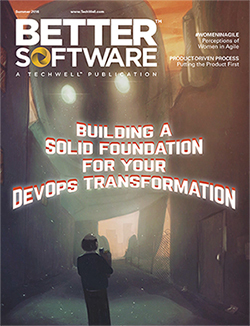 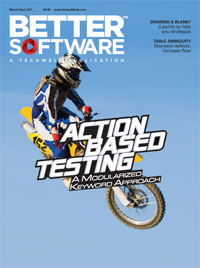 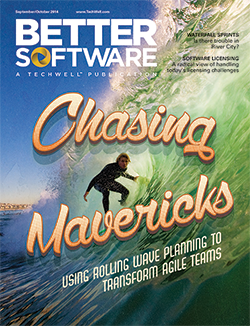 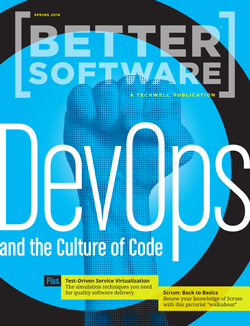 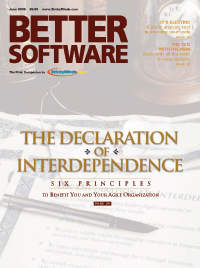 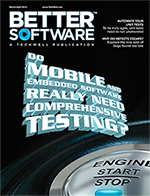 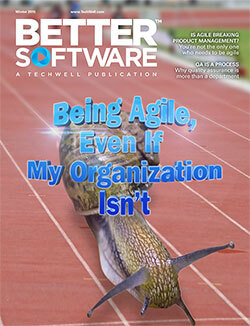 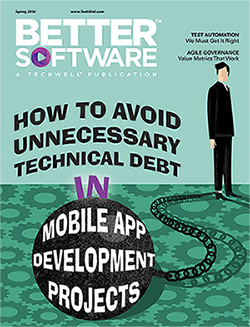 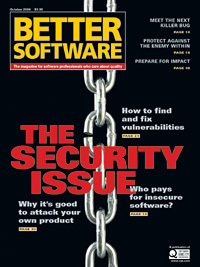 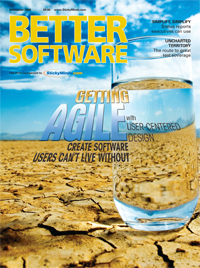 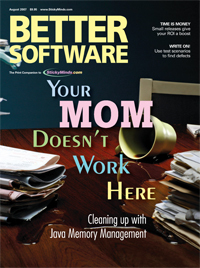 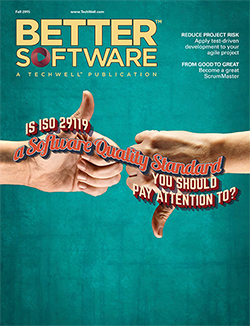 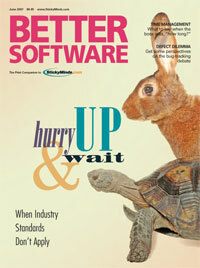 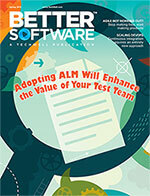 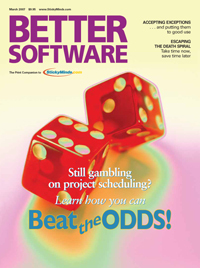 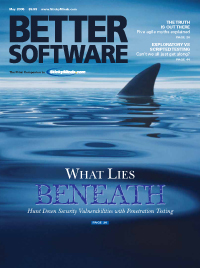 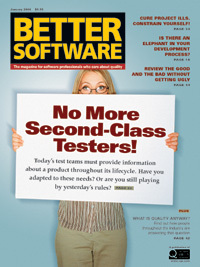 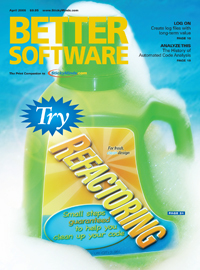 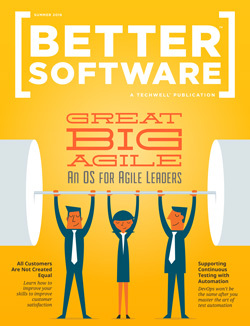 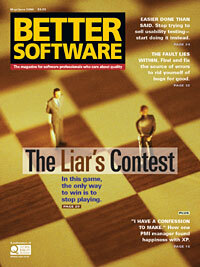 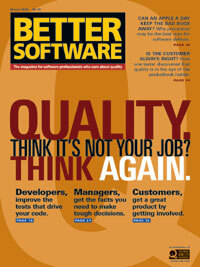 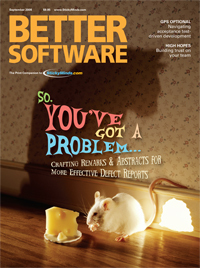 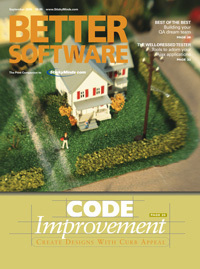 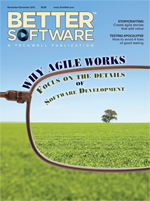 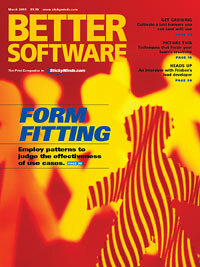 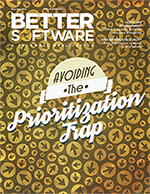 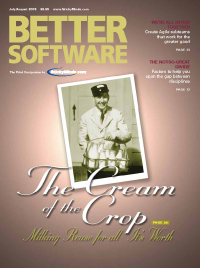 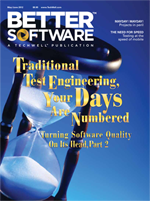 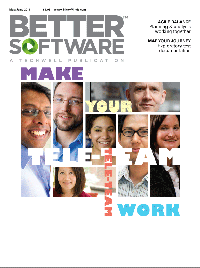 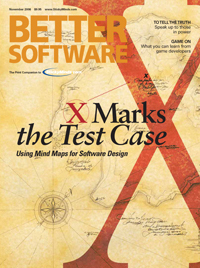 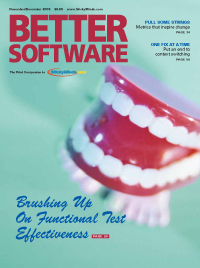 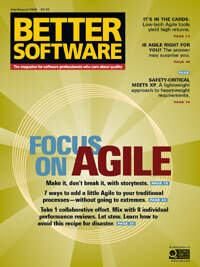 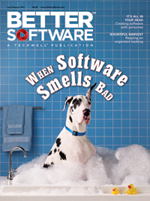 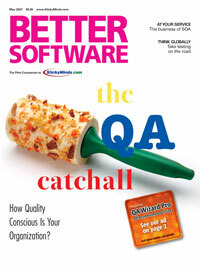 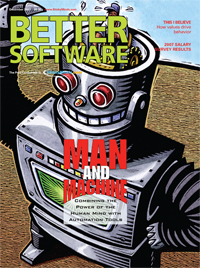 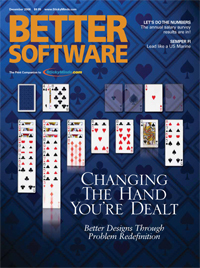 After twenty years of serving the software engineering world, Better Software magazine has ceased publication. 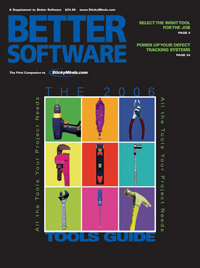 The archive will remain here at no cost to StickyMinds.com members. 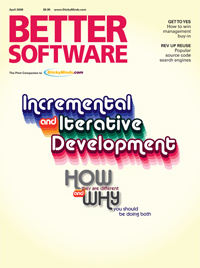 Please log in or join the community to access twenty years of articles covering all facets of the software development lifecycle. 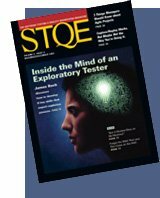 Additional free resources from the same great authors and editors are still being published on StickyMinds.com as articles, interviews, and more. 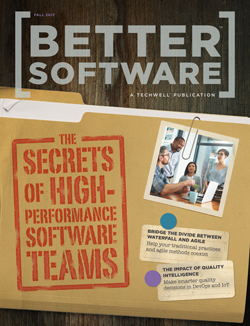 Explore TechWell Insights, conference presentations, and white papers and downloads for more free resources.